You'll be £12.99 closer to your next £10.00 credit when you purchase Sussex at War 1939-45. What's this? From the Dunkirk evacuation, Sussex became a front-line county and a likely invasion area if the Germans launched their feared attack. This book takes an in depth look at the fortification of the county, the plight of the evacuees who were hurriedly moved from London to escape the threat of the capital being bombed and who were re-evacuated when German air attacks caused much damage and loss of life. The Luftwaffe's tip and run raids were particularly feared. Many thousands of Canadian troops were stationed in Sussex, from where they launched the disastrous raid on Dieppe. Sussex was also heavily involved in the build up to D-Day and suffering badly from the much feared Doodlebugs, Hitler's revenge weapon. When victory was secured in 1945 Sussex celebrated as Prisoners of War came home and soldiers, sailors and airmen were demobbed. 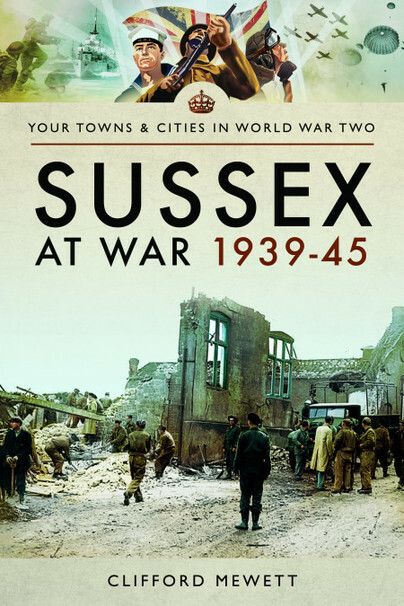 Sussex at War 1939-1945 also looks at the role played by the civilian population, voluntary organisations and the spirit of defiance which swept the County. If you are interested in wartime Sussex history, local history of the Second World War or Britain's war effort and life on the home front, then this is the book for you. Clifford Mewett presents a brilliantly lateral presentation of our recent Sussex past and if his prose lacks polish, meticulous research makes up for it. Cliff Mewett has lived on the Sussex Coast all his life. He was born in Hastings in 1946, where he attended Hastings Grammar School, before embarking on a career split between the Prudential and the Post Office. 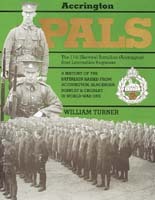 On leaving school he spent three years in the Queens Regiment, TAVR before being commissioned into the RAF VR (T). He married Marion in 1973 and they have two daughters. Apart from local history his other interest revolves round a collection of British motorcycles and a classic MG.